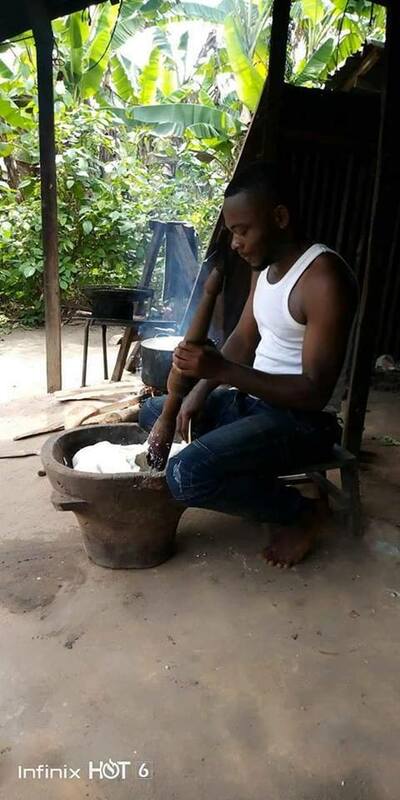 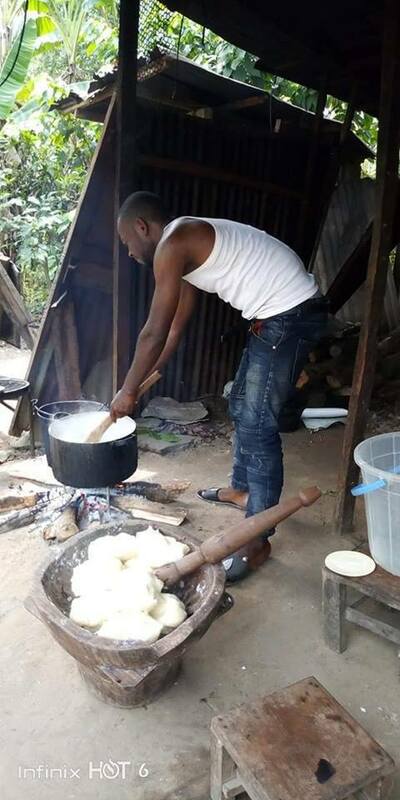 A young Nigerian man identified as Ekpete Nyemaka John is currently trending on social media after showing his fufu pounding skills. Ekpete is making ladies and his friends go gaga with his ability to prepare smooth and delicious fufu called Ogbolo in Ekpeye Language (Rivers State). This is not just what a woman can do, a man can do it better when it comes to the kitchen but this is purely amazing and fun. 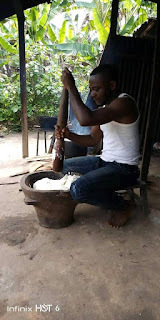 Husband material 1000 Yards from EKPEYE ethnic nationality of Rivers state Available..
His name is Ekpete Nyemaka John.. Interested persons should apply through his human resources managers..